51928 Fitter Thomas John Hindmarch, “B” Bty. 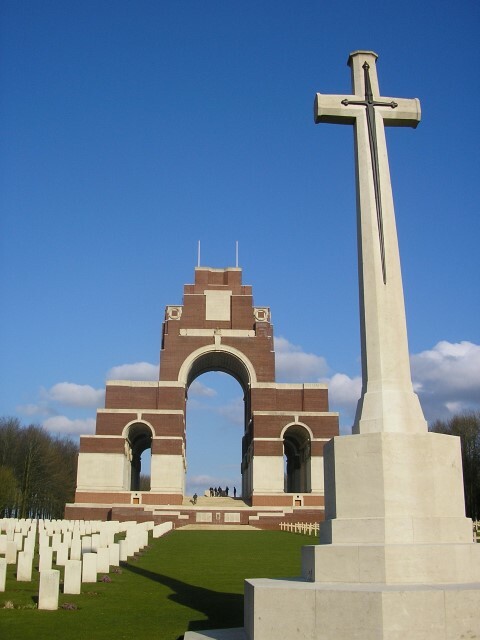 50th Brigade, Royal Field Artillery was killed in action 25 July 1916 and is commemorated on the Thiepval Memorial to the Missing of the Somme. 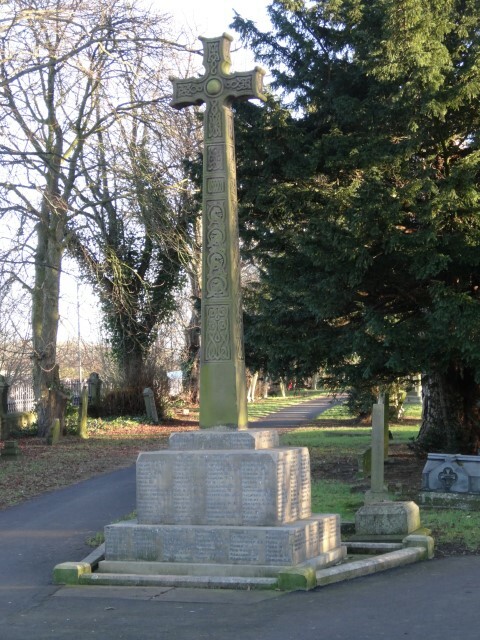 He was 22 years old and is also commemorated on the War Memorial in St. Andrew’s churchyard, South Church, Bishop Auckland. In 1901 the family lived at Tindale Crescent where 30 year old John worked as an engine fitter (coal). In 1911, they lived at St. Helens Colliery and 40 year old John was employed as a “mechanical engineer” and 16 year old Thomas was described as a “apprentice engineer”. At a later date the family lived at Clarence Gardens, Bishop Auckland. 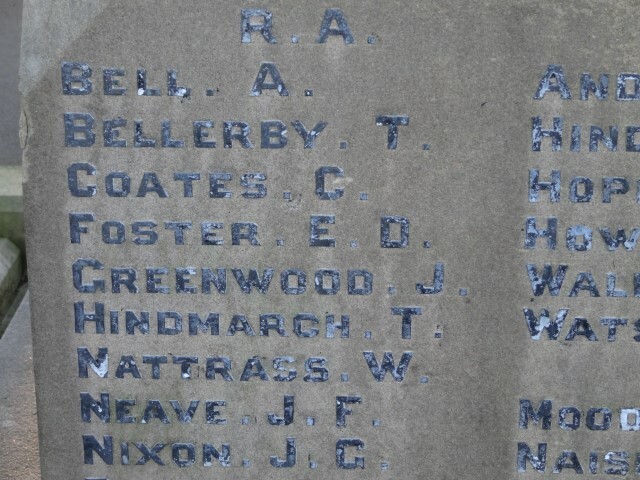 The service details of 51928 Fitter T.J. Hindmarch R.F.A. have not been researched. He served with the 50th Brigade RFA which was a New Army unit and the 50th 51st 52nd and 53rd (Howitzer) Brigades joined the 9th (Scottish) Divisional Artillery. In February 1915, the 3 six-gun batteries were re-organised to become 4 four-gun batteries and were titled as A, B, C and D. It went to France in May 1915. Fitter T.J. Hindmarch entered France 11 May 1915  and he served with “B” Battery. 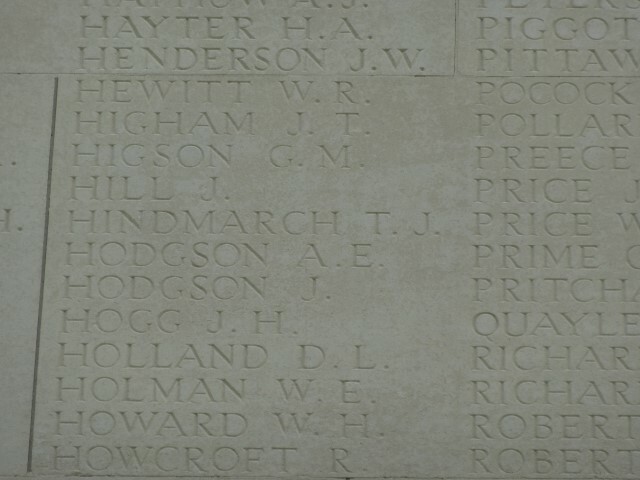 Fitter T.J. Hindmarch was killed in action 25 July 1916. He has no known grave and is recorded on the Thiepval Memorial. 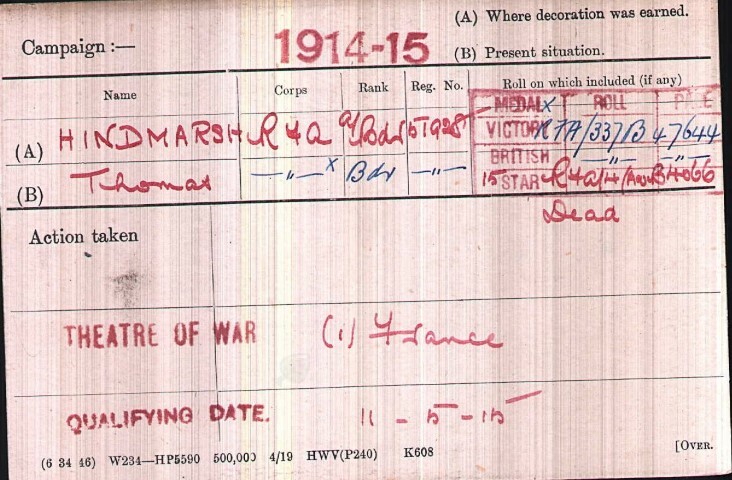 Fitter T.J. Hindmarch was awarded the 1914-15 Star, the British War and Victory medals. 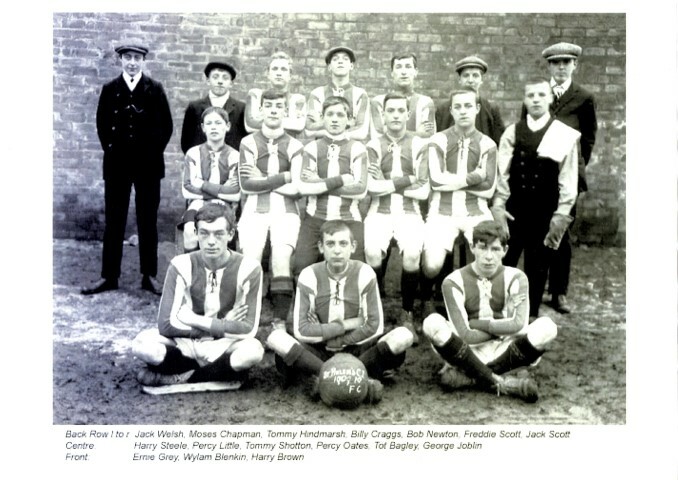 It is understood that the Tommy Hindmarch who appears in the team photograph is 51928 Fitter Thomas John Hindmarch. Further research is required to confirm the service details of the other team members. This photograph provided by Frank Sanderson and appeared in “Tindale Crescent & Fylands Bridge” Tom Hutchinson 2013.